Hotel Navarra Brugge values you as our guest and recognizes that privacy is important to you. We want you to be familiar with how we collect, use and disclose data. Collectively, we refer to the website, the Apps and our Social Media Pages, as the ‘Online Services’ and, together with offline channels, the ‘Services’. By using the Services, you agree to the terms and conditions of this Privacy Statement. ‘Personal Data’ are data that identify you as an individual or relate to an identifiable individual. Online Services. We collect Personal Data when you make a reservation, purchase goods and services from our Website or Apps, communicate with us, or otherwise connect with us or post to social media pages, or sign up for a newsletter or participate in a survey, contest or promotional offer. Property Visits and Offline Interactions. We collect Personal Data when you visit our properties or use on-property services and outlets, such as the restaurant, concierge services, child care services, bar and wellness. Customer Care Centers. We collect Personal Data when you make a reservation over the phone, communicate with us by email, fax or via online chat services or contact customer service. Strategic Business Partners. We collect Personal Data from companies with whom we partner to provide you with services or offers. Examples of Strategic Business Partners include travel and tour partners, rental car providers and travel booking platforms. 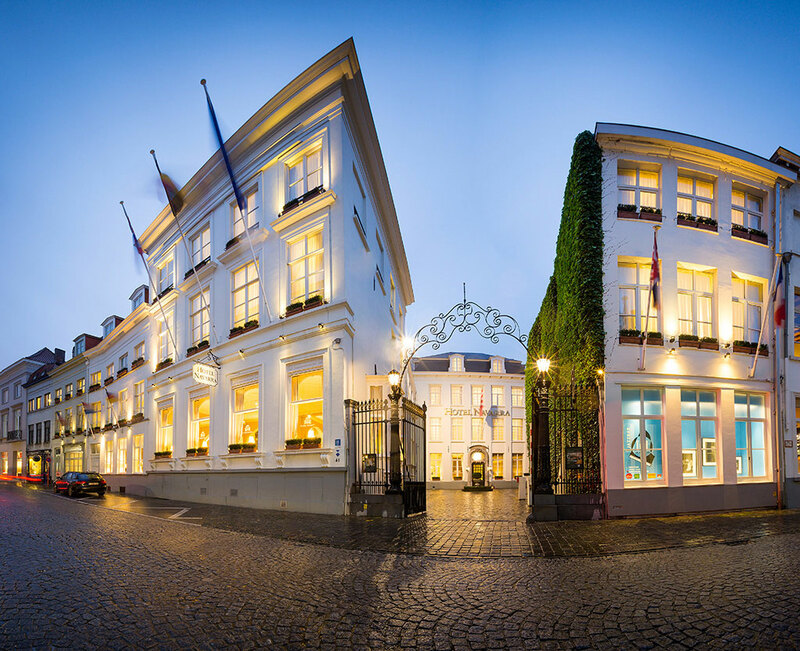 Strategic Business Partners are independent from Hotel Navarra Brugge. Your browser or device. We collect certain data through your browser or automatically through your device, computer type (Windows or Macintosh), screen resolution, operating system name and version, device manufacturer and model, language, internet browser type and version and the name and version of the Online Services (such as the Apps) you are using. We use this data to ensure that the Online Services function properly. Your use of the Apps. We collect certain data when you download and use an App, such as App usage data, the date and time the App on your device accesses our servers and what data and files have been downloaded to the App based on your device. Cookies. We collect certain data from cookies, which are pieces of data stored directly on the computer or mobile device that you are using. Cookies allow us to collect data such as browser type, time spent on the Online Services, pages visited, referring URL, language preferences, and other aggregated traffic data. We use the data for security purposes, to facilitate navigation, to display data more effectively, to collect statistical data, to personalize your experience while using the Online Services and to recognize your computer to assist your use of the Online Services. We also gather statistical data about use of the Online Services to continually improve design and functionality, understand how they are used and assist us with resolving questions. If you do not want data collected with cookies, you can learn more about controlling cookies at http://www.allaboutcookies.org/manage-cookes/index.htm. You can choose whether to accept cookies by changing the settings on your browser. If, however, you do not accept cookies, you may experience some inconvenience in your use of the Online Services. For example, we will not be able to recognize your computer, and you will need to log in every time you visit. Your IP Address. We collect your IP address, a number that is automatically assigned to the computer that you are using by your Internet Service Provider (ISP). An IP address is identified and logged automatically in our server log files when a user accesses the Online Services, along with the time of the visit and the pages that were visited. We use IP addresses to calculate usage levels, diagnose server problems and administer the Online Services. We use Personal Data and Other Data to provide you with Services, to develop new offerings and to protect Hotel Navarra Brugge and our guests as detailed below. In some instances, we will request that you provide Personal Data or Other Data to us directly. If you do not provide the data that we request, or prohibit us from collecting such data, we may not be able to provide the requested Services. Promotions. We use Personal Data and Other Data to allow you to participate in promotions and to administer these activities. Business Purposes. We use Personal Data and Other Data for data analysis, audits, security and fraud monitoring and prevention (including with the use of closed circuit television, card keys, and other security systems), developing new services, enhancing, improving or modifying our Services, identifying usage trends, determining the effectiveness of our promotional campaigns and operating and expanding our business activities. Strategic Business Partners. We disclose Personal Data and Other Data with select Strategic Business Partners who provide services and offers that enhance your experience at our property or that we believe will be of interest to you. By sharing data with these Strategic Business Partners, we are able to make personalized services and unique travel experiences available to you. We will use and disclose Personal Data as we believe to be necessary or appropriate: (a) to comply with applicable law, including laws outside your country of residence; (b) to comply with legal process; (c) to respond to requests from public and government authorities, including authorities outside your country of residence and to meet national security or law enforcement requirements; (d) to enforce our terms and conditions; (e) to protect our operations; (f) to protect the rights, privacy, safety or Hotel Navarra Brugge, you or others; and (g) to allow us to pursue available remedies or limit the damages that we may sustain. This Privacy Statement does not address, and we are not responsible for the privacy, data or other practices of any entities outside Hotel Navarra Brugge, including Strategic Business Partners or any third party operating any site or service to which the Services link, payment service or website that is the landing page of the high-speed Internet providers at our properties. The inclusion of a link on the Online Services does not imply endorsement of the linked site or service by us. We have no control over, and are not responsible for, any third party’s collection, use and disclosure of your Personal Data. In addition, we are not responsible for the data collection, use, disclosure or security policies or practices of other organizations, such as Facebook, Apple, Google, Microsoft or any other app developer, app provider, social media platform provider, operating system provider, wireless service provider or device manufacturer, including with respect to any Personal Data you disclose to other organizations through or the Apps or our Social Media Pages. We seek to use reasonable organizational, technical and administrative measures to protect Personal Data. Unfortunately, no data transmission or storage system can be guaranteed to be 100% secure. If you have reason to believe that your interaction with us is no longer secure (for example, if you feel that the security of your account has been compromised), please immediately notify us in accordance with the ‘Contact Us’ section, below. If you no longer want to receive marketing-related emails, you may opt out by our unsubscribe function or by following the instructions in any such email you receive from us. The ‘LATEST UPDATE’ at the top of this page indicates when this Privacy Statement was last revised. Any changes will become effective when we post the revised Privacy Statement on the Online Services. Your use of the Services following these changes means that you accept the revised Privacy Statement. If you would like to review the version of the Privacy Statement that was effective immediately prior to this revision, please contact us. Lodge a complaint with a data protection authority for your country or region or where an alleged infringement of applicable data protection laws occurs at http://ec.europa.eu/newsroom/article29/item-detail.cfm?item_id=612080. At Hotel Navarra Brugge, we respect your privacy and want to provide you with information and choices. The options provided below allow you to express your preferences: what and how much you share with us and when and how you hear from us. We want to learn what is relevant to you and ensure you have a personalized experience. As described in more detail in our Global Privacy Statement, we use digital tools like cookies and tags on our webpages. Cookies also help us provide, protect and improve our services. We want to engage with you in a way that is meaningful to you. We recognize that you may only want to hear from us in a limited way. To adjust your preferences, you may choose to ‘unsubscribe’ by clicking the link at the bottom of one our communications. We will work with you to understand and process your request. Please note that we may ask you to verify your identity before taking further action on your request. 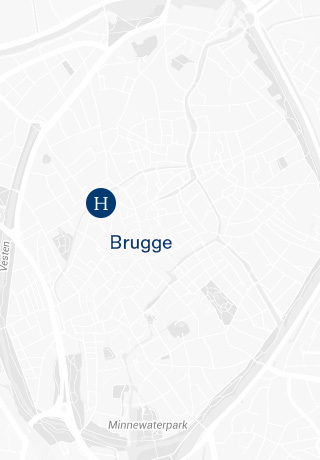 Any Personal Data sent to us may be used by Hotel Navarra Brugge and its Service Providers for the purposes indicated in our Privacy Statement. If we intend to use your Personal Data for a purpose that is materially different from these purposes or if we intend to disclose it to a third party not previously identified, we will notify you and offer you the opportunity to opt-out of such uses and/or disclosures where it involves Personal Data or opt-in where Sensitive Personal Data is involved. We sometimes contract with other companies to perform services on our behalf such as catering within our hotel, website hosting, data analysis, payment processing, order fulfillment, information technology and related infrastructure provision, customer service, email delivery, auditing and other services. They may have access to Personal Data needed to perform their functions, but are restricted from using the Personal Data for purposes other than providing services for us or to us. We are responsible for ensuring that our Service Providers process the Personal Data in a manner consistent with our obligations under the Principles. We may need to disclose Personal Data in response to lawful requests by public authorities for law enforcement or national security reasons or when such action is necessary to comply with a judicial proceeding or court order, or when otherwise required by law. This Policy may be changed from time to time, consistent with the requirements of the Privacy Shield. You can determine when this Policy was last revised by referring to the "LATEST UPDATE" at the top of this page. Any changes to our Policy will become effective upon our posting of the revised Policy on the Site.